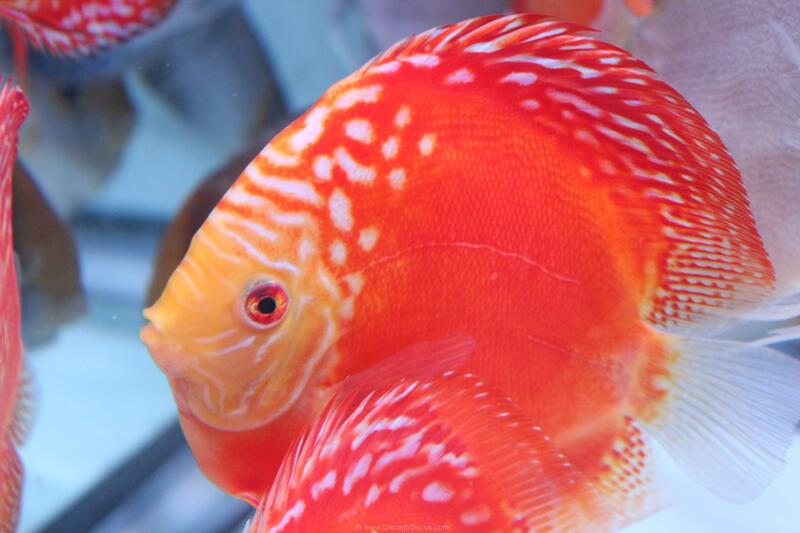 We have a splendid group of very pretty, and very large, Red Pandas with solid red bodies to offer you this month. 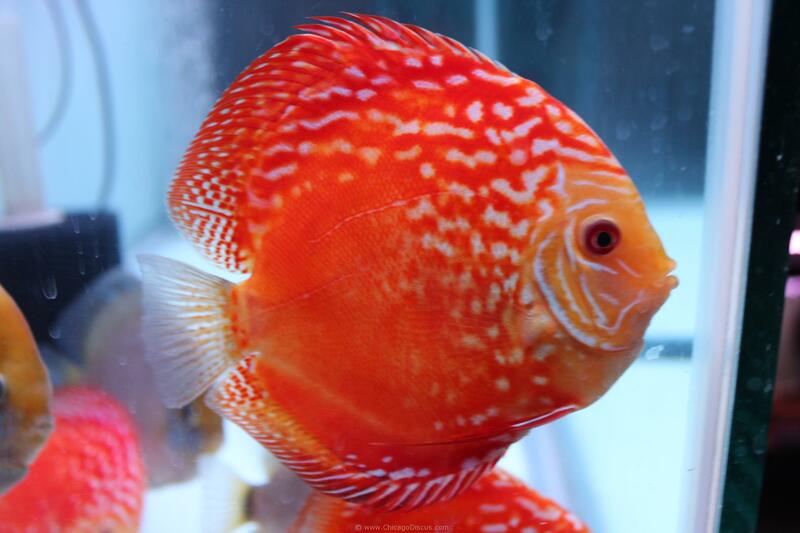 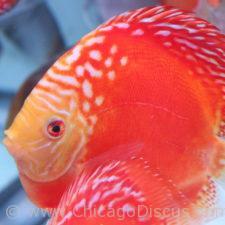 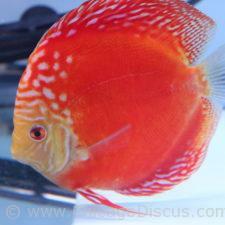 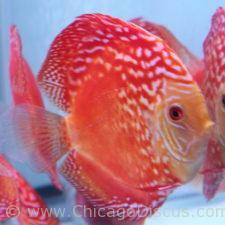 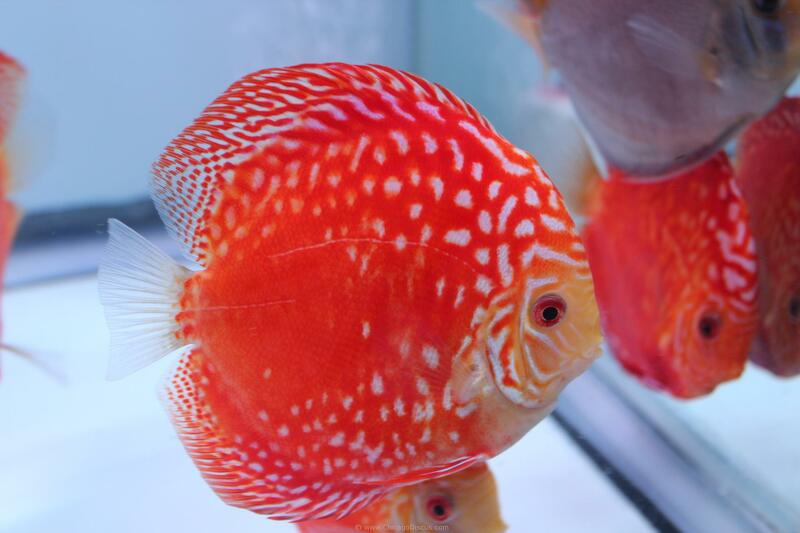 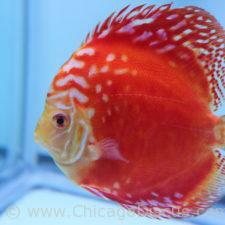 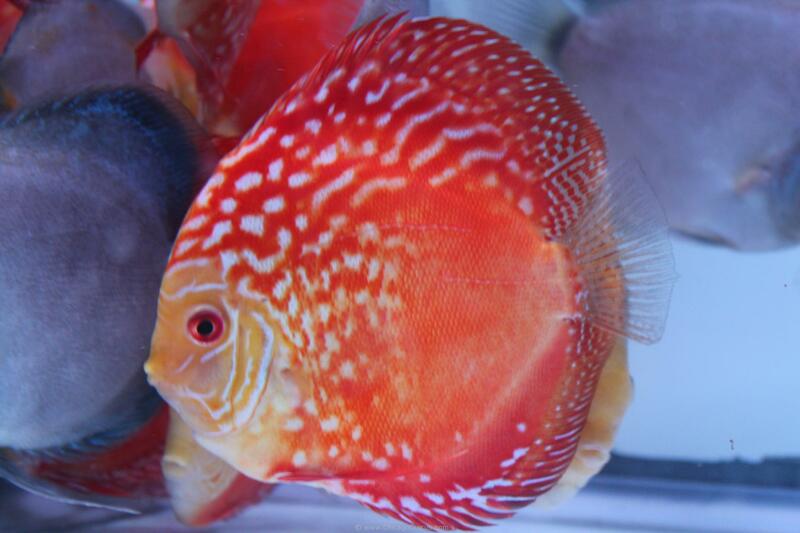 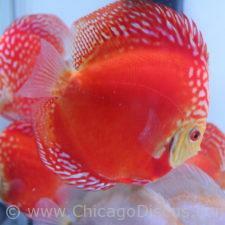 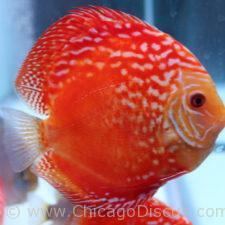 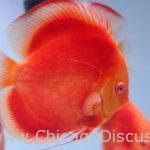 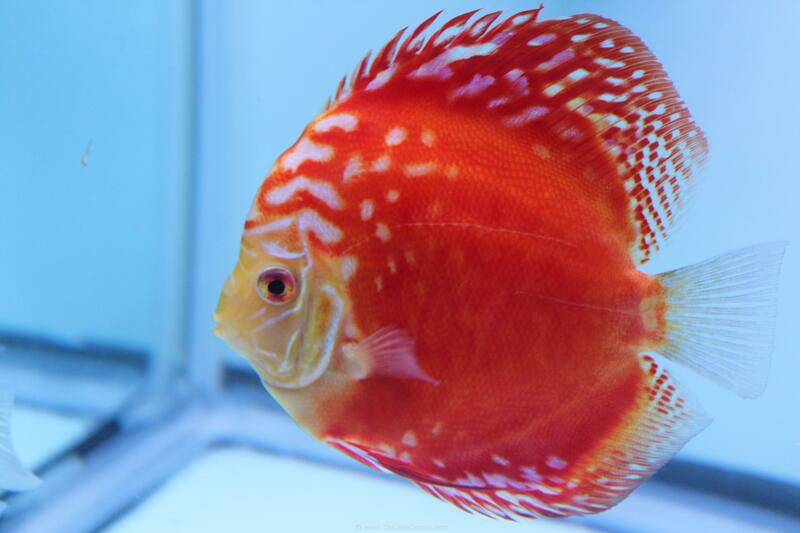 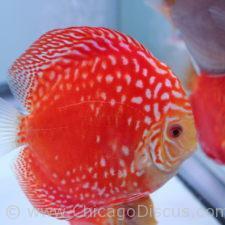 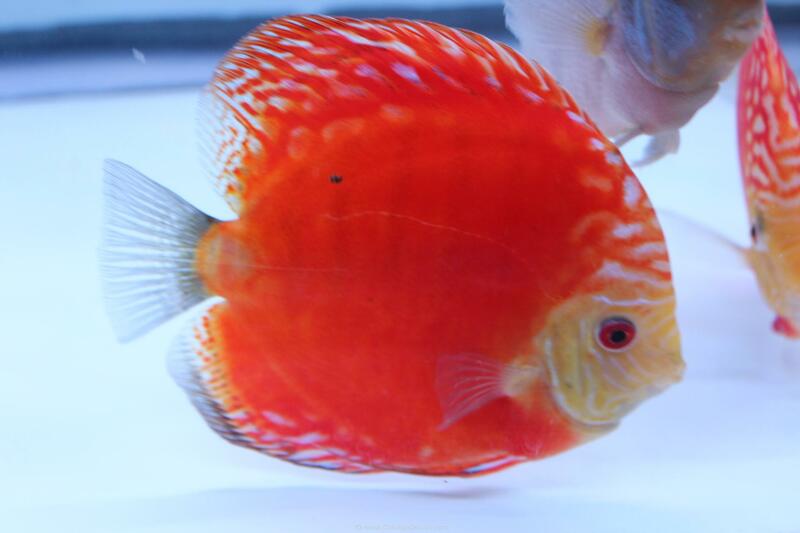 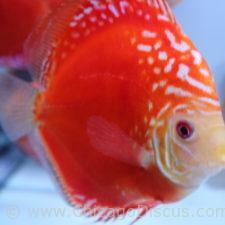 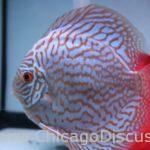 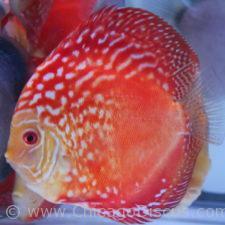 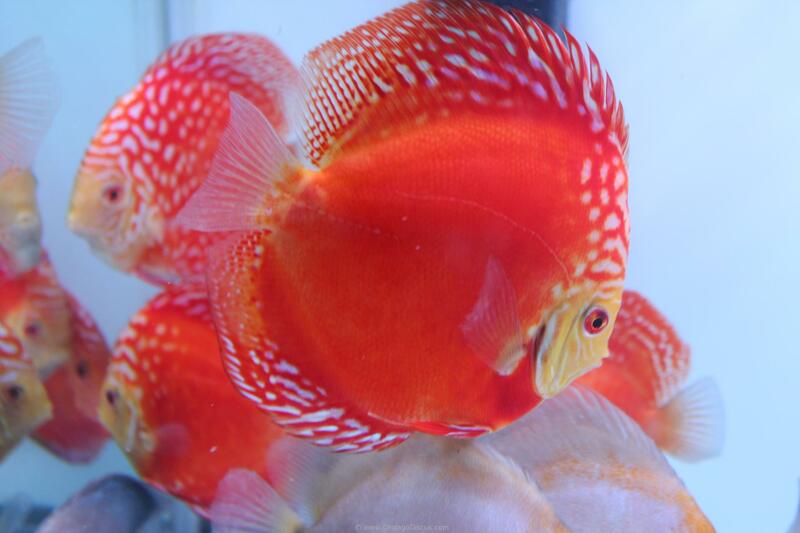 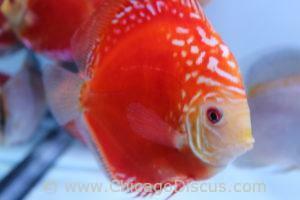 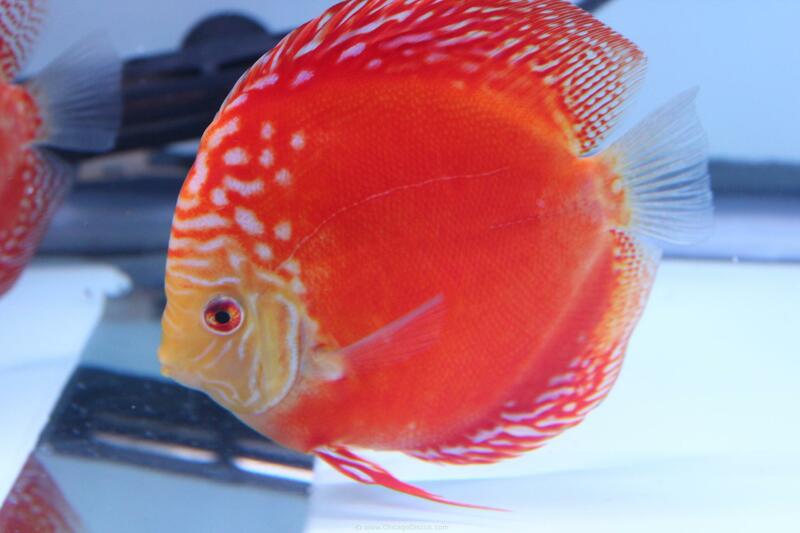 Dazzling solid crimson body with luminous intense white spots on their head and fins, these are astonishing discus. 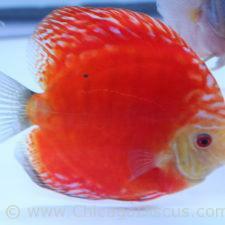 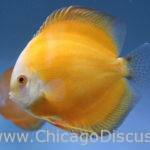 Very nice large size and round shape complete the picture of some of loveliest discus you have seen. 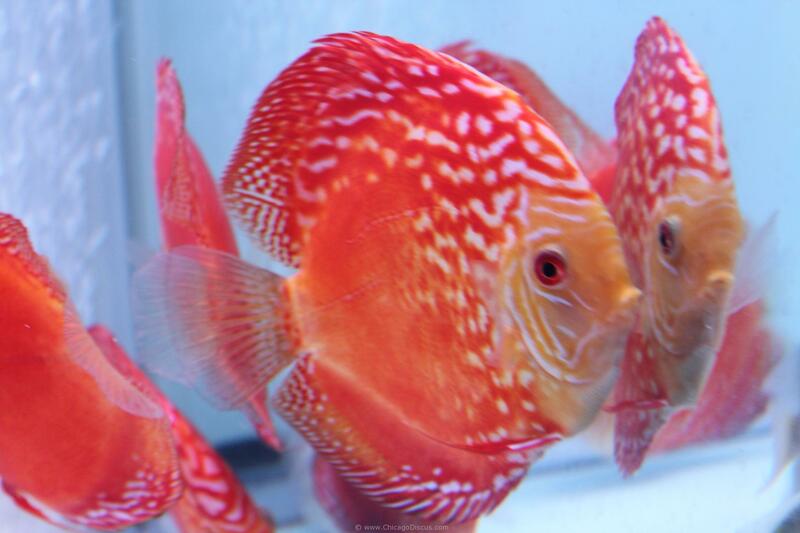 Please look at the pictures and I am sure you will agree.